Desoto Baseball Organization Welcomes You!!!!!! Due to the cancelation of Opening Day Ceremony here are the results from lastnight pitch hit and run event. Pitch Champs Aston Spencer,Blandon Blackmore, Collat Jobnson, Gregory Lawrence Jr, Jerderick Russell, Kahlil Johnson, Kelton Elie Jr. and Terry Barber. Pitch Champ Courtney Allen, Damien Roblow, Kalen Cormier, and Timothy Grant. 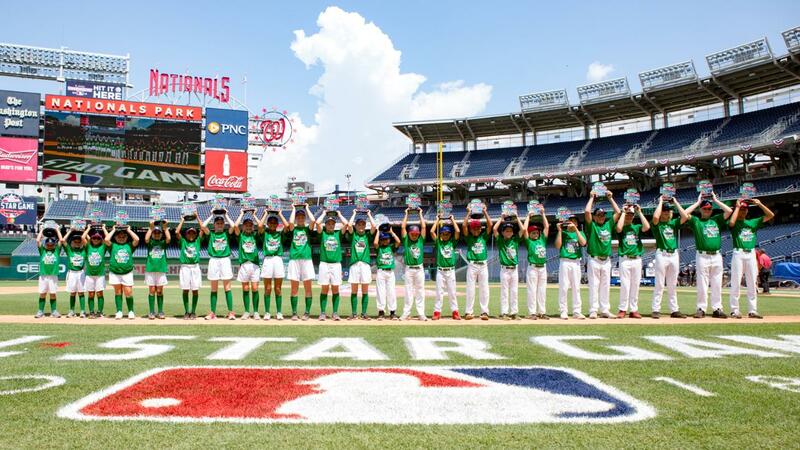 The Desoto Baseball Organization is designed to give children boys and girls ages 3-14, an opportunity learn, play and appreciate the great game of baseball. We encourage participants, parents, coaches and volunteers to model behavior consistent with Good Citizenship. DBO is a Texas Non-Profit Corporation operating under the laws and rules delineated by the Secretary of State. DBO is operated by a board of Directors consisting of an Executive Board, who are Desoto Residents, and addition to volunteers. DBO is a recreational league run entirely by volunteers, so please consider being a volunteer. DBO's monthly meetings are held at the Desoto Civic Center every 3rd Wednesday at 7 pm. The room location is to be determined. DBO is "CALLING ALL COACHES!" Please call our Athletic Director for applications to coach, motivate and grow our youth. Each coach will be required to obtain training and clear a minor background check (paid for by DBO). If you have thought about coaching Youth baseball and having a direct impact on the lives of young people, we need you! Please don't hesitate to complete the volunteer coaches application and the private and minimally invasive background check on the DBO web page, www.desotobaseball.org, under the Coaches Corner tab (Application/Background Check). For up-to-date field conditions call the City of Desoto Rain-out line @ 972.230.9652. NOTE: The City's rain out line is not updated prior to 3:00 PM on days where the weather(rain) may impact the fields.